Mala, North London, Summer 2016. 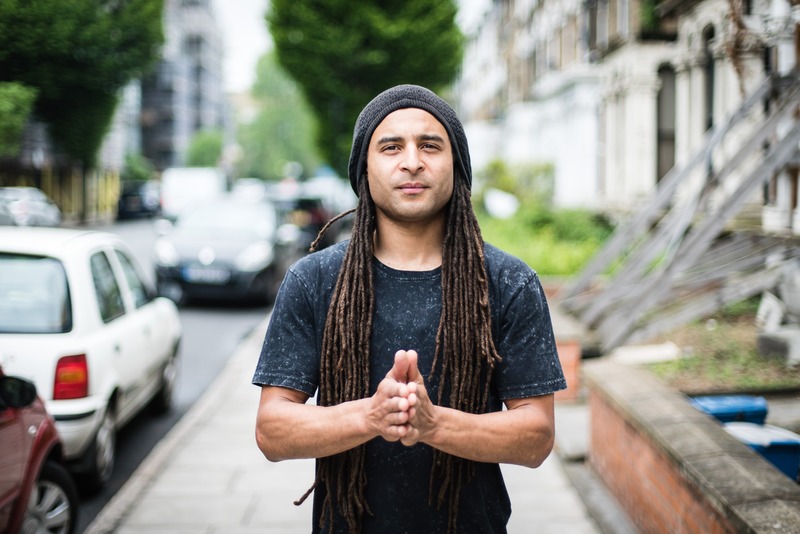 Earlier this summer, I had the chance to speak with Mala, a DJ, producer, promotor and record label owner from south London, who over the last decade, has played a central role in the development of the dubstep scene. Both his own productions as Mala, and those as Digital Mystikz alongside Coki, are sited as some of the key releases that defined those early days of the genre, and his record label, Deep Medi, has catalogued releases from many of the scene’s innovators over the past 10 years. His now legendary club night, DMZ, alongside FWD, has played a seminal role in incubating the genre from it’s early form through to today. Despite dubstep’s ever-morphing progression and partial shift into the mainstream through EDM, Mala has remained true to his own personal vision. He’s expanded his horizons, and developed both as an artist and a person through his solo album projects which explore the musical and cultural traditions of other countries, firstly Cuba in 2011, and now Peru, fusing them with his south London sound system-focused productions. In this episode of Sound Motives, we explore Mala’s early influences from jungle to Augustus Pablo, his perspectives on the emergence of dubstep, his relationship with the dance floor and club culture, and how the future looks. You can check Mala’s Sound Sources individually below, or in more detail on the ‘Sound Sources’ tab at the top of the page. Before the arrival of UK Garage and the eventual emergence of 140bpm dubstep, Mala’s first love was jungle, discovering the music through pirate radio DJs and listening to tape packs at school in the 90s. For Mala, the Metalheadz events at Blue Note were an important introduction into a the underground dance culture, that would go on to influence his own approach to music. There are a few documentaries that explore the jungle period linked below. First, footage from those classic Metalheadz sessions at Blue Note in Shoreditch (complete with VFXs, vox-pops and VHS distortion), then the Dazed Jungle Fever Doc that provides an overview of the period, and finally, a BBC doc which I remember watching as a teenager, that covers LTJ Bukem and Good Lookin Records’ rise in the late 90s. In Episode 3, Mala also mentions the Eskimo Noise soundsystem which was behind the Metalheadz Blue Note events that were so influential on him. For more on Eskimo Noise, here’s an interesting article on RBMA, curated by dutch producer Martyn, which explores that period further. Additionally, Eddie Otchere has an excellent series of photos from the period here. In his teens, Mala discovered the music of Jamaican melodica player and producer Augustus Pablo. Mala enjoyed the small flourishes and melodies that only appeared once in tracks, and he tried to bring some of that subtlety of approach to his own productions. “Although best known for his mastery of the melodica, easily being the world’s premier exponent of that peculiar instrument, his musical skill was not limited to merely conquering the hand-held child’s toy. Indeed, Pablo was a pioneering record producer in his own right, as well as a renowned session keyboardist. His uniquely spirited instrumentals, most of which took inspiration directly from his profound belief in Rastafari, took reggae music to a higher plateau, and the mournful quality of Pablo’s ‘Far East’ sound resulted in some of the most striking moments of the roots reggae era. In addition to helping solidify the reggae genre at the start of the 1970s, Augustus Pablo was a key figure of dub artistry, since his early collaborations with King Tubby are exemplary, and his experimental collaboration with Lee ‘Scratch’ Perry raised the dub instrumental to another level. Pablo was also an early champion of the drum machine and often experimented with computer-generated rhythms in his later works, somehow always infusing his creations with an undercurrent of organic synergy informed by the pulsating rhythms of Africa. Here’s a fascinating in-depth beginner’s guide to the music of Augustus Pablo, courtesy of David Katz, for Fact Magazine. With a huge back catalogue that spanned from the mid-70s until his death in 1999, there’s a lot of Augustus Pablo’s work to discover, but the late 70s period is considered his finest. Having consistently discovered and supported up and coming producers through running the Deep Medi record label for 10 years, I was curious to hear who Mala is currently a fan of. Although influenced by the entire Bristol scene stemming back to his jungle/d&b period, Mala mentions specifically a current Bristolian, Joseph McGann, who who produces under a number of monikers, who’s taken the time to learn the history, in order to be able to create someone new yet authentic. Check Joseph’s productions as Kahn for a dubstep-focused sound, Kahn & Neek and Bandulu Records for grime, and Gorgon Sound for reggae/digi/steppas. He’s also part of the Young Echo Collective. Last year Mala released an excellent album project between Commodo Gantz and Kahn, as well as various 12s. Whilst exploring his relationship with club culture, Mala discusses an artist that was key to his development, as a juxtaposition to his own dancefloor-focused approach to production. It is Nitin Sawhney, and specifically his two albums, Beyond Skin and Prophesy. There’s also an interesting TED talk that Nitin gave in 2014 about the meeting of two great minds of the east and west. Looking to the future, Mala’s excited about the opportunities that exist as a musician in 2016. With Goldie, a generation before him, showing the possibilities of reinvention and continued longevity, and up and coming artists like Stormzy from the next generation introducing new ideas, Mala feels proud to be part of the lineage. Stormzy is a grime MC who like Mala, hails from south London/Croydon. He came to prominence through a number of self-released freestyles and tracks, which led to his becoming the first unsigned MC to perform on Jules Holland. If there’s any other killer content on Mala that we should include here, get in touch.